One of the biggest problems I encounter as a resource room teacher is the self-esteem of the students in my classes. After years of disappointing academic experiences, their confidence is low and their motivation has declined. Combine those points with the peer pressure, bullying, and stresses of middle school, and the students do not have a positive outlook on their education. In my classroom, technology is a tool for empowerment—it creates a collaborative and innovative space for all students. Along with over 50 million educators and students, I am primarily using Google’s G Suite for Education. The suite is a bundle of Google’s key products, such as Drive, Docs, Slides, and Forms, along with new tools like Google Classroom. While I used these applications in a middle school classroom, the following strategies are appropriate for any age from upper elementary students to high school seniors. My special education students typically miss out on taking courses of personal interest. Electives are often replaced with supplemental math or reading classes to bring the students up to grade-level expectations. So I decided to bring student interests into my resource rooms. While we still have to follow the curriculum and I have to modify it based on individual needs, I wanted to implement more choice and personalized learning in my instruction. 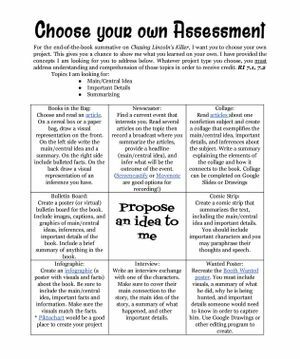 I typically share a choice board or a HyperDoc to Google Classroom in order to provide my students with their own avenues for learning. 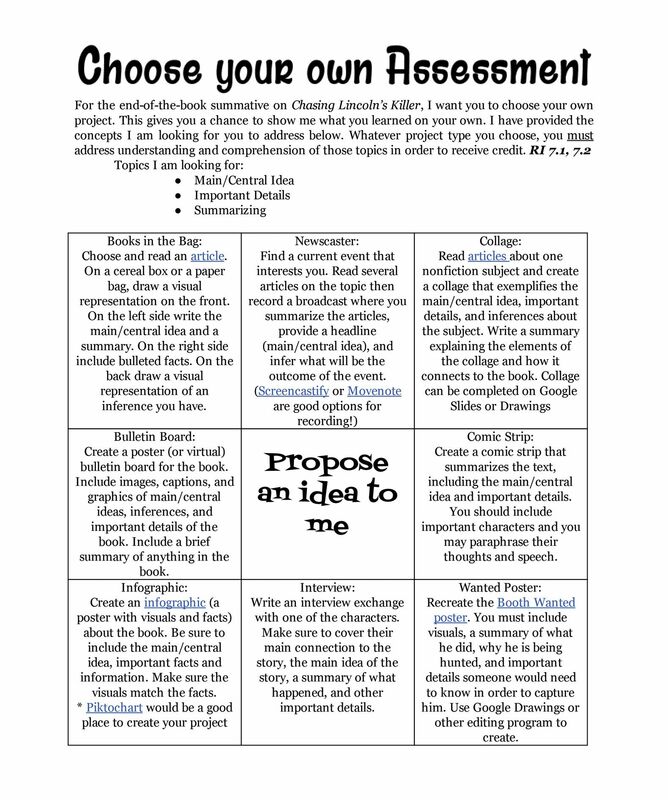 A choice board is a graphic organizer that offers students options of tasks to complete. A HyperDoc is a digital lesson plan that also incorporates choice in student learning. I provide students with tasks they are required to complete and a variety of tasks they can choose from and can complete at their own pace. This individual pacing helps to increase student ownership and accountability for their learning—traits that all students need, especially students with special needs. Sometimes the HyperDoc is as simple as a multimedia text set from which students choose what they would like to read and view. For some assignments, students use YouTube to view a video I’ve created about the topic. Then they have their choice of an article to read based on their own individual interests. 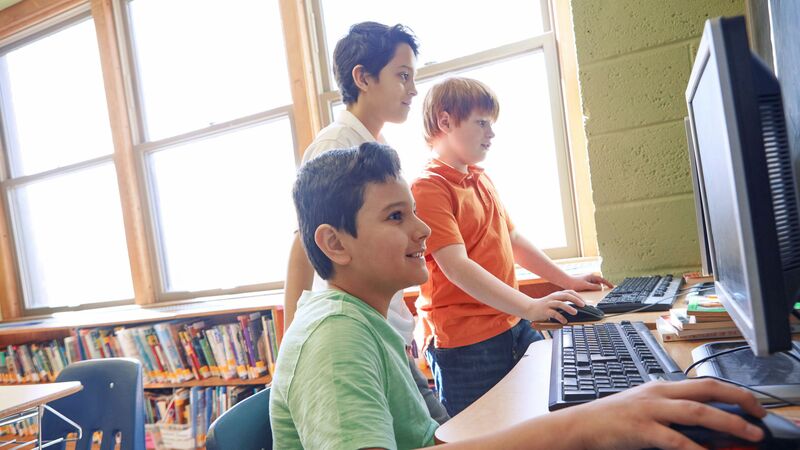 Students can choose to use Google Slides, their own YouTube video creation, a Google Form to survey others, or other technology tools to show what they’ve learned before sharing with their peers via Google Classroom. Students are given the freedom to demonstrate their knowledge in their own way and tend to feel more invested in learning because of the choices they are given. Based on Google’s philosophy of having employees devote part of their work time to projects of personal interest, I have my students choose an area of passion that is not in the curriculum. They develop a step-by-step plan to help them reach their goal and set timeframes to measure their progress. For some students, organization is a challenge. Since they have to keep track of all of their materials and work, as well as plan their project step by step, the project gives them the tools they need to practice organization. This project is a long-term assignment, so I give my students about half of the school year to complete their work. The students excel at these projects. I had a student draft an entire graphic novel on paper, scan it to her Google Drive, and then use the PDF annotation extension Kami to add text to the thought and speech bubbles. Technology enabled her to create a professional-looking manuscript that she can add to her portfolio as she pursues art in high school. Other students completed their experience by sharing their projects with their peers through Google Slides, video recordings, and other presentation software. Though there were challenges, my students enjoyed the opportunity to work on these passion projects and were able to use problem-solving skills to overcome obstacles. The concept of problem solving is tough for special education students to grasp, but having them work on their own choice of project helps unlock their ability to work through challenges. Because of the nature of some of their disabilities, my students struggle with communication. Group work is difficult, and discussions are often one-sided. I knew my quiet students had insightful comments to share but were reluctant to speak up in class, and my outgoing students needed to take more time to craft their responses. Again, technology helped all these students work through their challenges. I use the Google Slides Q&A feature during class presentations. The students access a question-based page associated with the presentation and can post questions, which the presenter can refer back to at the end of the presentation. My quieter students felt more empowered from behind a keyboard, and they actively shared ideas and asked questions. For my students anxious about speaking in front of others, the anonymity made them feel relaxed during discussions. My eager speakers were also aided by technology. Because they had to take the time to type an answer, as opposed to just saying whatever popped into their heads, they paused and reflected before typing. They began to think about their words carefully as a result of the digital discussions. Verso is another way I’ve encouraged collaboration and discussion. Through this Chrome app, I can post questions for my students. They cannot see each other’s responses until they post something themselves. Since responses are anonymous, my students with anxiety feel at ease about their contributions. Technology has eased the disappointment and frustration that my students feel when faced with academics. It has helped me reach out to my students, rekindled their passion for learning, and empowered them to not only find success but also feel confident in the classroom.